The Christmas season is officially on! It is not a secret, that Germany is one of the best places to try famous Gluhwein and get into a Christmas mood on local Weihnachtsmärkte. 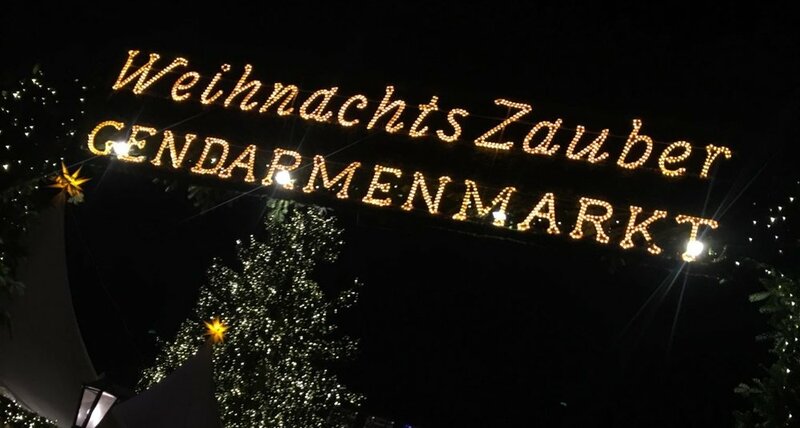 So why are Christmas Markets actually that special? Well…first of all - Mulled Wine a.k.a Gluhwein or it’s non alcoholic alternative - Heisse Schokolade, will keep you warm this winter. 2nd of all…come on who doesn’t love Christmas? Although we haven’t seen the snow here in Berlin for quite long we all have decided, that Weihnachts season is our favorite season. As true Berliners we decided to prepare for you a list of the best Christmas Markets in our lovely City. And yes! By now (26.11.2018) they are all open! HO HO HO…shall we? Live Christmas music, beautiful crafter ornaments and the best Christmas lights in the City. The entry coast only 1 euro and it is totally worth it! Looking for an alternative Christmas market full of vegan and organic food? It is a perfect place for you! This modern version of traditional Christmas Markets can be found in Prenzlauer Berg. Have you heard of the famous Markthalle IX in Kreuzberg? Well now it’s time to finally see their Christmas parties every Friday and Saturday! Have fun and do not forget to try all of the food. 16.12.2018 from 10am till 4pm they host Merry Breakfast Market. DO NOT miss it! Want to feel the magic this Christmas? Visit the Weinachstmarkt in Charlottenburg and enjoy the fairy-tale scenery with a glass (or two) of Gluhwein.